Tibetan Buddhist OM Mani Padam Hum Buddha Eye Pendant Handmade Tibetan Pendant. 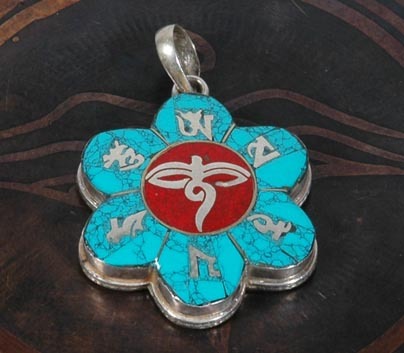 It was handmade in Tibet from sterling silver, red coral, and turquoise. Size: 30mm*30mm Weight: 16.